When federal agencies promote programs, like Affirmatively Furthering Fair Housing, or Common Core they conduct sophisticated and often deceptive marketing campaigns that cover up there downsides. Flowery slogans like, “transportation options are fundamental to having a shot at the American Dream,” and “Economic diversity is the path to better outcomes for all American children,” may sound moving. The truth about the programs is often disturbing. Whether their programs are to “protect the environment”, (Regional Sustainable Development,) develop “college and career ready” children (Common Core,) or create a platform to “improve adult outcomes” (HUD’s AFFH,) agencies pump up the benefits to the uninitiated public, with little regard for the destructive effects of their plans. If a private business engaged in similar deceptive practices as our government, the Consumer Financial Protection Bureau would probably fine them out of business. Unfortunately, consumers have little protection against federal dishonesty. With a dysfunctional Congress and a disturbingly powerful executive, it is up to informed citizens working with local public officials to protect our own interests. Here are four common ways our government deceives the American people. When federal agencies start projects the public may reject, they often cite research studies proving the wisdom and importance of their program. This “research” also demonstrates the agency’s professionalism and due diligence. But their studies often are little more than weak justifications for programs that frequently cause more harm than benefit to communities and to the intended beneficiaries. One example is HUD’s “Move to Opportunity” (MTO), a revived 1994 “randomized social experiment,” that transferred low-income families into higher income areas to improve access to better education and jobs. A 2011 HUD report revealed the MTO program did reduce the incidence of “extreme obesity” and “major depression” among the randomized families. The blatant failures did not dissuade HUD who has now reintroduced the program. Since 2011, a series of new studies micro-analyzed the original results, each finding a positive nugget among the dismal results. Finally, an August 2015 report, “Effects of Exposure to Better Neighborhoods”, concluded that, under MTO, children below the age of 13 earned more money, were more likely to attend college, and the girls were less likely to become single mothers. The “groundbreaking” study virtually ignored the negatives from the original research and wasted few sentences on the plights of children over 13 who reported “lower incomes” and worse outcomes than had they never moved. HUD is proceeding with a program that, after 15 years, researchers can show no conclusive proof works. The administration ignores aggressive pursuit of methods to reduce the incidence of single parent families, and increase local educational opportunities, even though researchers recognize both as solutions to improving educational outcomes that are more important than incomes. Is HUD even within its legal bounds? HUD is advancing the MTO program under its Affirmatively Furthering Fair Housing rule. Yet, nothing in the Fair Housing Act entitles HUD to transfer people to gain income integration, nor engage in many of the actions they are taking under AFFH. HUD and the Department of Education believe poor student performance is primarily the result of living in concentrated areas of poverty. To remedy this, the agency intends to relocate low-income families to better neighborhoods to improve educational and income outcomes. To a low-income family, this seems like a boon. Who would not want to move to a nicer area, especially if someone else is paying for it? But, to conclude that moving to affluent areas is the best solution to improve outcomes, HUD had to ignore volumes of research findings that prove location is not the prime driver of scholastic ability. Moving families to locations where adults and children have no friends or relatives in areas they cannot afford, brings its own challenges. The 2011 study, “The Effects of Poverty on Academic Achievement” concludes that income and a mother’s level of education are the significant factors in determining educational outcomes. “In many studies, mother’s education had a more significant effect on children’s scores than income.” The author’s recommend that “instructional techniques and strategies can help close the achievement gap by providing students with necessary assistance in order to achieve high standards in academic performance.” There is no recommendation to uproot families and move them to more affluent areas. 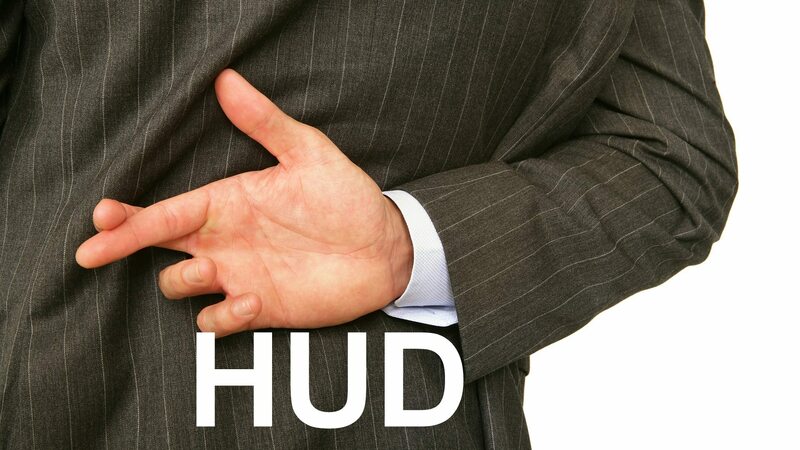 While pursuing income diversity, HUD ignores that the best way to improve grades and opportunities is not to shuffle families into new neighborhoods, but to educate families about the importance of two-parent households, the effects of fathers on children’s education, and the value of education for all family members. Instead, HUD, DOT and the Department of Education are moving ahead with regional Equity Assistance Centers as part of President Obama’s Stronger Together program, (see page 22) to teach local educators how to attain income diversity in classrooms as a means to improve educational outcomes. Economic mobility is the reasoning behind one of the administration’s most aggressive programs to relocate low-income families into better areas. It sounds reasonable, but ignores the real causes of economic immobility and deprives the next generation of the mental tools necessary to compete and succeed. Economic mobility is the ability of individuals to move up and down the earnings ladder. Greater mobility is associated with job opportunities, wealth accumulation and personal freedom. At one time, Americans easily migrated from the poor to the middle class, but since the 1980’s this has slowed until today, the U.S. is one of the least economically mobile of all first world nations. The main causes for our immobility are technological advances that reduced the need for many middle income positions; and more importantly, a recession recovery that added high paying jobs for the upper class, and service oriented work for low-income brackets, but little for the middle class. With fewer middle class opportunities, the poor are stuck with nowhere to advance. The administration is right to conclude that economic mobility is a factor of success. But that success requires organic mobility, not federally mandated mobility. Desiring, striving and overcoming whatever disadvantages there may be is all part of the success model. To help poor families improve, HUD-USED-DOT wants to relocate schoolchildren in the elementary and secondary grades to gain economic diversity in each classroom. In an accompanying program, Small Area Fair Market Rents, HUD families will find their section 8 vouchers reduced in lower income zip codes and raised in wealthier neighborhoods, forcing them to move to more affluent areas, regardless of their wishes. The President touts this misguided program as “fundamental” to children’s success. The rationale is akin to the absurd conclusion that, “well-to-do families drive BMW’s, therefore, if we buy Beamers for low-income families, they too will share the success of the higher earners.” Under this logic, you could even provide a study proving that the owners of their new subsidized BMW’s are more psychologically content, arrive at work faster, and return home early enough to spend more quality time with the family and help the kids with their schoolwork. Government agencies frequently mislead local public officials and the public by including wording in their documents that implies the opposite of what the regulation actually accomplishes. A case in point is the administration’s Affirmatively Furthering Fair Housing rule that utilizes the Fair Housing Act to eliminate segregation and discrimination. While this seems like a good cause, in practice, the program does little to eliminate discrimination. It does impose aggressive oversight over community planning. But the statement is deceptive. While HUD does not directly impose land use decisions or zoning laws, indirectly they can force you to impose them. As this community discovered, through charges of failure to affirmatively further fair housing, civil rights violations, threats to withdraw grant money and other legal actions, HUD can coerce communities into compliance with their zoning requirements, even when the voters disagree. It would be nice to think the agency only uses their authority in the face of flagrant civil rights violations. That is not the case. In Westchester County NY, in spite of being on-track to meet a court settlement requiring the county build 750 new affordable homes, the HUD affiliated monitor wanted each community to adopt “model zoning ordinances.” At one point, the agency notified County Executive Rob Astorino that ¼-acre building plots represented “exclusionary zoning,” because low-income families cannot afford them. As HUD expands their authority, they also expand their interpretations of what constitutes segregation and discrimination, leaving communities who accepted grants in a tenuous position. These are only a handful of federal programs that cost taxpayers millions of wasted dollars. Programs like the Economic Recovery and Reinvestment Act, Affordable Care Act and Common Core have many, many times this waste, intentional misrepresentation and flawed outcomes. More than the money, our government is usurping the rights of homeowners and local officials, while causing harm to low-income families who are deprived of the real help they need to succeed. Many communities are discovering, they are better moving ahead without federal interference. what is the Harvard study and WHY is the literacy rate 42% for students whose parents have more education? The King, Public Education under the USED, is plumb-_ss naked and has been for a long while. The Harvard report is linked in a different place in the article: Effects to Exposure of Better Neighborhoods, Raj Chetty, et al. John King has a rather sour reputation in NY given his nasty remarks and aggressive rollout attempts for Common Core. There are many reports concluding that two-family homes with well-educated parents who are engaged in their children’s education have the greatest effect on positive student outcomes. two are cited in the article. HUD completely ignores this organic approach that has virtually no downsides in favor of uprooting families and socially engineering communities. All of HUD’s approaches have questionable outcomes as they uproot neighborhoods and trample on local rights. the literacy rate should be much higher.